A new twist on a lifelong favorite! 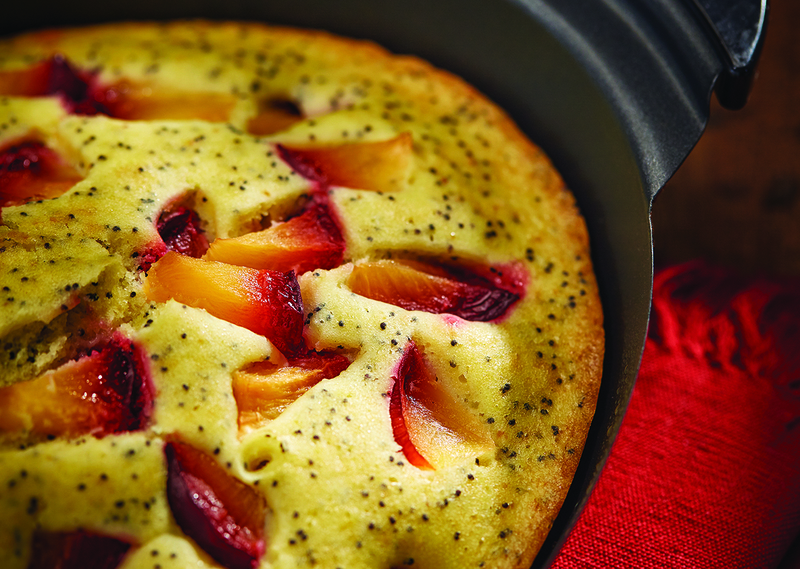 The taste and texture of lemon poppy seed cake are complemented wonderfully by the addition of a sweet red plum topping. Have it for dessert or pass some time on a summer afternoon! Insert baking pan in contact roaster. Preheat 5 minutes. Prepare quick bread mix according to package directions. Lightly grease bottom and sides of baking pan. Pour batter into baking pan top with plum slices. Set timer and bake, covered 30 minutes. Turn off roaster and allow cake to rest in roaster 10 minutes. Tip: Drizzle a thin icing of powdered sugar and milk over the cake before serving.